After applying a BCC filter to a clip/comp in your timeline, click the License Control button in the effects editor for the clip. The License Control Window displays information about how many Days Remain in the Trial Period, the Install Date, the Name, the Company Name, e-mail address you entered etc. To activate online please have your full Continuum Complete or Unit serial number ready. 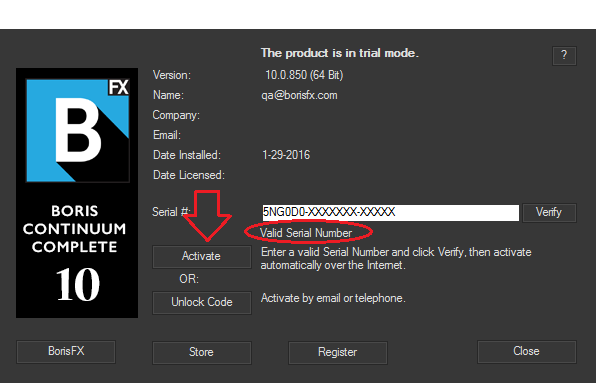 Enter your serial number in the designated field if it isn’t filled in already. Upon successful verification click the “Activate”. Once activated the “Activate” button will change to give the option to deactivate your license and your date activated will be displayed with your email, company, and name. You can close the License Control Window. If the watermark persists over your footage please change a parameter in the filter to force the frame to re-render or restart your editor. 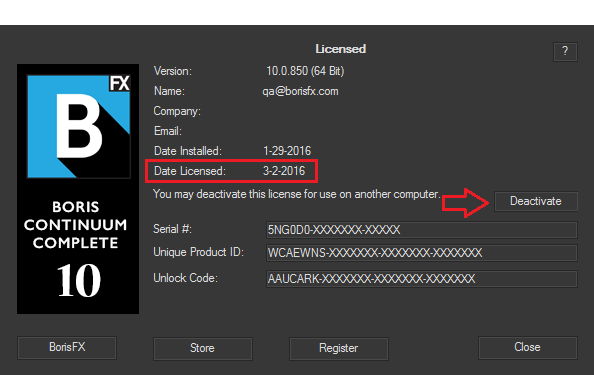 The License Control Window displays information about how many Days Remain in the Trial Period, the Install Date, the Name, the Company Name, e-mail address you entered etc. 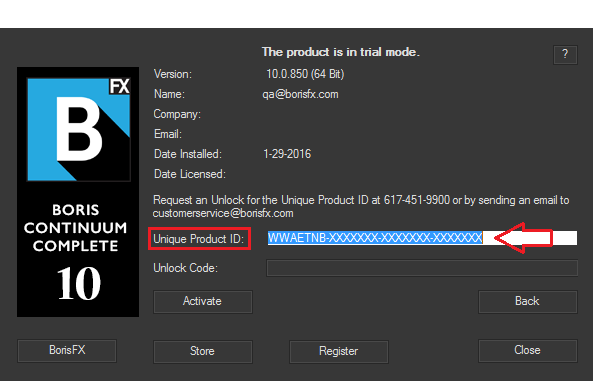 Please find the Unique Product ID displayed and your Full Product Serial Number. Send an email to our customer service team with your Unique Product ID, Serial Number, and message if you wish and we will get back to you with an Unlock Code matched to your Unique Product ID. 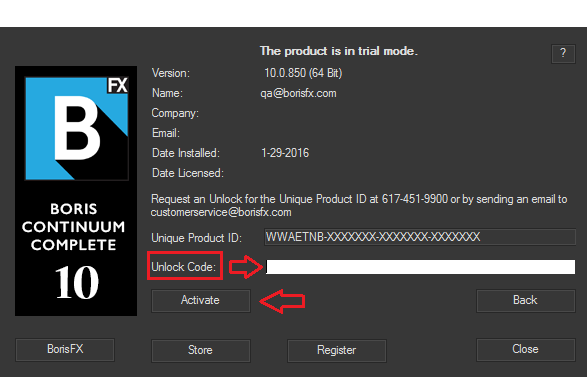 Enter the Unlock Code you received to the field designated and hit “Unlock”.